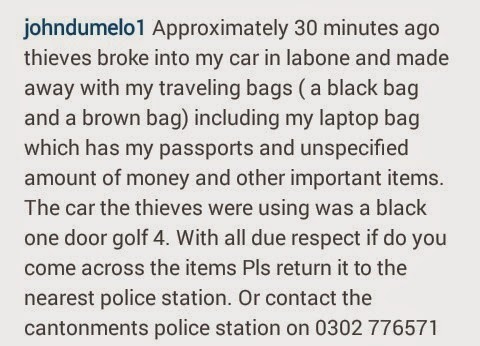 Ghanaian actor John Dumelo was a a victim of a car robbery yesterday. According to him, thieves broke into his car in labone, Ghana, and made away with his traveling bags including his laptop bag which has his passports and unspecified amount of money and other important items. He used social media to appeal to anyone who finds his stolen items to return them.